An active, positive parent who participates in their child's education is a critical factor in a child's success. 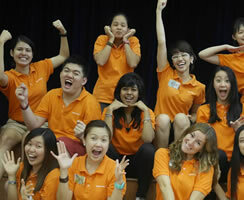 The SuperCamp Parent & Child Workshop bridges the bond between parent and child. This is where parents get to experience the fun-learning SuperCamp with their child. 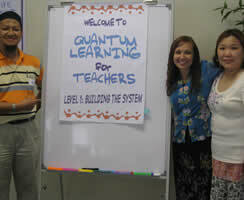 Using highly effective Quantum Learning methodology, this program aims to help bring families together, and allow parents to have the teaching and learning experience with the child. We want parents to share the same joy as our SuperCampers and be actively involved in their child's development. SuperCamp for Parent & Child will help you understand more about the academic and life skills sets your child learns at SuperCamp. You will also be able to relate to and support your child better in their learning development and appreciate their accomplishments to a greater extent.